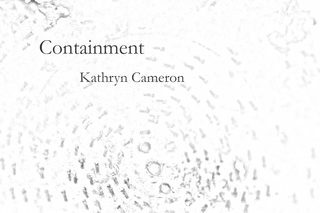 121 Varick Street Studios is pleased to announce the opening of Containment, Connection and Contemplation, three solo exhibitions held in a spectacular former photography studio loft in TriBeCa. Curated by Maurizio Pellegrin, this exhibition brings together three international artists who are exploring the intimate relationship between nature and man using different media. The exhibition features works in a dialogue with the viewer that evoke an ambiance between poetry and structure, machinery and subtlety. 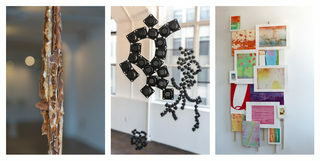 The exhibition will be on view from March 22nd through April 14th. Nadia Martinez (b. 1980) is a Honduran multimedia artist. She creates installations and sculptures made from electronic components and everyday materials in which nature and architecture are hidden sources of inspiration. Her work offers a balance between stillness and subtle movement. 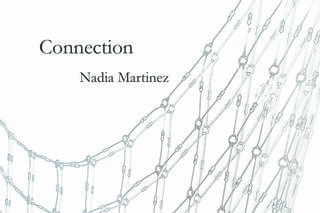 Nadia has exhibited her work nationally in the United States and internationally in Italy, Venezuela, Peru and Mexico. She was an Artist in Residence at the Museum of Arts and Design in New York. Her work is part of selected collections at the Art Bank of the United States Department of State in Washington D.C., and other private collections in across the United States, France, Peru, and Venezuela. Kathryn Cameron (b. 1968) is an American artist. Kathy creates Installations, sculptures, drawings, paintings formed by materials with rich textures that echo natural elements of the Earth. She works with paper and metal, materials that are ephemeral in nature and are subject to the effects of the passage of time. She has a Bachelor of Arts in Video Production and has studied sculpture at the National Academy School of Fine Arts, The New York Academy of Arts and the School of Visual Arts in New York. Kathy has largely exhibited in United States, Europe and New Zealand, through solo and group exhibitions. Her work is in private and public collections, and it is the subject of several articles and essays. Kathryn Cameron lives and works in New York. Taka Maruno (b. 1965) is a Japanese artist. Each of Taka’s prints, built from qualities inherent in the chosen medium, reflects these remarkable visions and the feelings they produce. For Taka, the life of city or the chance encounter serves as a kind of deep sensual charge, bringing memory of nature to the surface, his art born in the moment. Taka graduated from the Kuwasawa Design School in Tokyo. While in school, he worked with Q Designers, Kuramata Design Office, Studio 80 and the Tokyo office of Studio Di Architettura (Aldo Rossi Tokyo office). 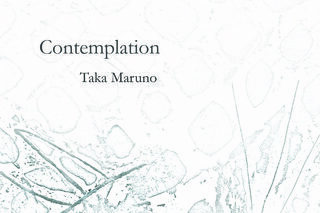 After graduation, Taka worked as a designer and architect with Akira Watanabe Architect and Associates. The many creative people he worked with in Tokyo have strongly influenced his understanding of his responsibility to his art. They have inspired him to make the best use of material, to set material off to exhibit its unique, innate qualities. In 1994 Taka set out for New York City with the desire to expand his experience, to be in a place where he could view things from different vantage points and express these in his art. Taka’s work can be found in many private and corporate collections in the United States, Australia, Canada, Europe and Japan and he is represented Fukuoka, Japan, Provincetown, MA and Miami Beach, FL. Taka lives and works in New York City. Maurizio Pellegrin was born in Venice, Italy. An artist of international reputation, he is also a revered arts educator who holds a Master’s Degree in Art History, Ca’ Foscari University in Venice. He studied sculpture and painting at the Academy of Fine Arts of Venice, where he holds the equivalent of the American MFA in Studio Art. 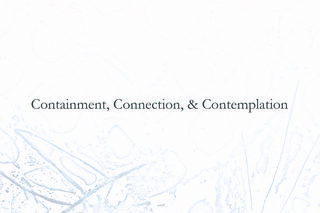 Maurizio directed the Venice Program Master of Art at New York University and taught Phenomenology of the Arts and Advanced Studio at Teachers College, Columbia University. In addition, he has taught Modern Design and Architecture at the Rhode Island School of Design. As a working artist, he has had more than 150 solo and 400 group exhibitions in major museums and galleries, including the Museum of Modern Art, New York; the San Diego Museum of Contemporary Art; the Corcoran Gallery of Art in Washington D.C; the Museum of Contemporary Art in Cleveland, Ohio; the Fort Wayne Museum of Art in Indiana; the Scottsdale Museum of Contemporary Art in Arizona; the Peggy Guggenheim Collection in Venice, Italy; and the Ca’ Pesaro International Gallery of Modern Art in Venice, Italy.